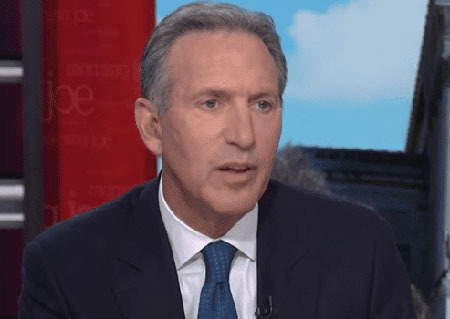 When former Starbucks CEO Howard Schultz announced he was “seriously considering” an independent presidential run in 2020, Democrats, many with their own 2020 White House aspirations, went ballistic. Schultz said that the U.S. can’t afford the “free” health care, “free” college and the entire litany of “free” things Democrats are pushing. Writing for The Washington Times, columnist Cheryl K. Chumley offered this note to Ocasio-Cortez: “Americans, by and large, don’t care if billionaires have billions of bucks. “Do Democrats not receive the same unemployment reports as the rest of the country The jobless rate has been under 4 percent for some time; if jobs translate into opportunities for financial accumulation and wealth, which they do, well then – Warren is wearing the blinders,” Chumley wrote.